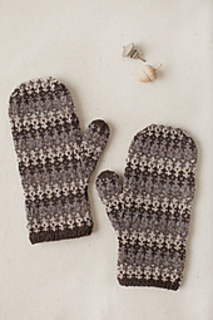 These classic colorwork mittens offer a great canvas for playing with color! We were drawn to a tone-on-tone combination of natural browns and greys, but brighter and more colorful combinations are also enticing. 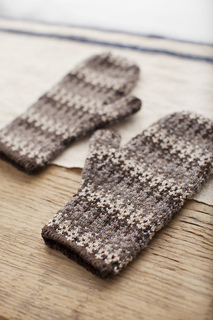 Although 4 colors are required for the pattern, you will only ever be working with 2 colors on any given round. 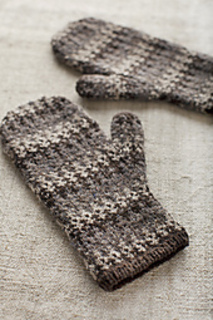 Beginning with a ribbed hem, the mittens are worked circularly from the bottom up and feature a side-gore thumb. Please note, the stitch patterns in this garment are charted only.